That idea that humans are pattern seeking creatures is not a new one. How we make sense of what we see around us will differ from one individual to the next, and depends on many factors, such as the person’s cumulative life experiences, his or her emotional state, in other words, building blocks of a person’s internal cognitive mechanism. That idea that humans are pattern seeking creatures is not a new one. How we make sense of what we see around us will differ from one individual to the next, and depends on many factors, among them the person’s cumulative life experiences, and his or her emotional state at the time. 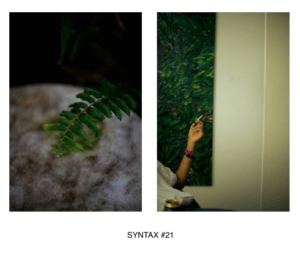 Whether or not said pair of images will make sense depends on what “rules” our mind conjures, consciously or at a more primordial level, to connect the disparate pair of visuals, thus creating a connection. 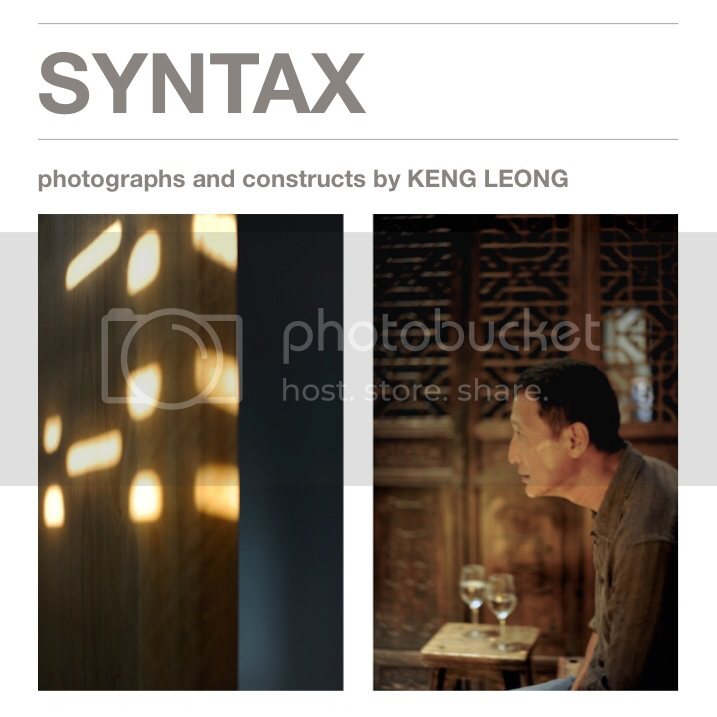 It is with this in mind that we present Syntax, the debut solo exhibition by photographer Keng Leong. His approach to photography, as we discover, is quite unique. “I do not enjoy photography like enthusiasts do, I don’t feel the adrenaline rush the way warzone photographers would, neither do I find events exciting the way journalists do, and I have no interest in recording the suffering or joy of others“. In all, sixteen image couplets will be on display during the exhibition, which runs from September 16 to 21, 2014. These represent moments in Keng Leong’s life, the “little ripples” as he describes them, that have moved him. For Keng Leong, the time has arrived, at long last, when these moments can leave him and find their own context, resonance, and special meaning in the viewer’s mind. Syntax officially opens at 3pm on Tuesday, September 16, 2014, and we are truly privileged to have as our guest of honor, multiple award-winning singer/songwriter, film composer, filmmaker and actor, Pete Teo. Exactly one year ago, you may remember that Pete released a brilliantly done short film/music video, Slipstream, to commemorate Malaysia’s 50th anniversary. It is fitting that a year later Pete helps celebrate the coming out of an artist/photographer, whose works will surely enthral and surprise. 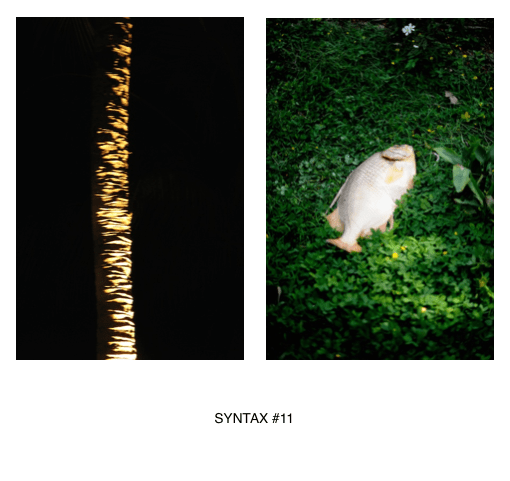 The exhibition will also see the release of a special edition limited run publication that features all 43 couplets that form the full body of Syntax. Also available at the exhibition will be high quality prints of the exhibited couplets, which will be for sale. 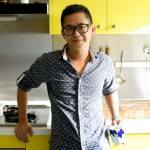 A man of many talents, Keng Leong is a native of Melaka, and currently lives in Kuala Lumpur. Apart from being a photographer, he is a constant writer and filmmaker, as well as a superb cook. Keng Leong lived in NYC for a decade where he mentored with renowned photographer Charles Harbutt at the International Center of Photography, and also had the opportunity to study with art photographer Ralph Gibson. 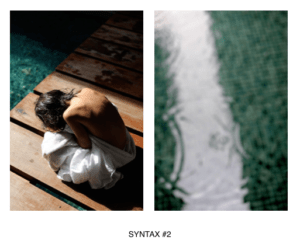 Although he disagrees with labeling of movements, Keng Leong likens his approach to photography to that of the impressionists, particularly the music composer Claude Debussy, where traditionally revered tonal finesse gives way to pure sensory and emotional depth.